Current WBO World bantamweight champion Marlon Tapales might face the WBO no. 1 bantamweight contender Arthur Villanueva next year. The possibility is big if Marlon Tapales can defend his title against the challenger from Japan Takuma Inoue on December 30, 2016. If Tapales wins, Arthur Villanueva will be the Mandatory challenger next year. Both parties already released a statement that there's no problem. Marlon Tapales manager Rex Wakee Salud said "It's no problem." but "we need to win first in Japan.". Aldeguer also said "looking at the possibility of having Arthur fight for a title in another organization but if a [WBO] mandatory fight will happen against Tapales, we will be forced to do it. It's happening anyway in boxing. Look at the Barrera-Morales wars. It became classics." 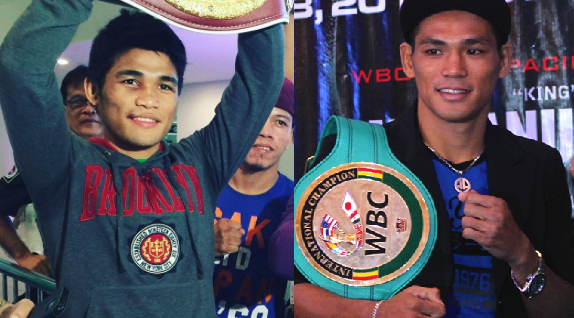 Marlon Tapales has a record of 29W(12KO)-2L while Arthur Villanueva has a record of 30W(16KO)-1L.